Before I start this post...does anyone know an easy way to create a collage or photo grid? I used to be able to do this in Photo Bucket, but I must have spent 3 hours + last night trying to find the tool and it appears to be gone. It's ::beyond:: frustrating!! Couple that with being 9 months prego and I am not a happy woman right about now! So any help would be greatly appreciated! Anyway...I just wanted to share some recent photos with you. We've had gorgeous weather...and ironically it's snowing today...yes, snowing! Luckily, it will be back in the 60s by Wednesday. Phew! We got to go out on the boat for the first time this season...here I am in in ALL my pregnancy glory...basking in the sun. Wilson was our skipper...so happy! 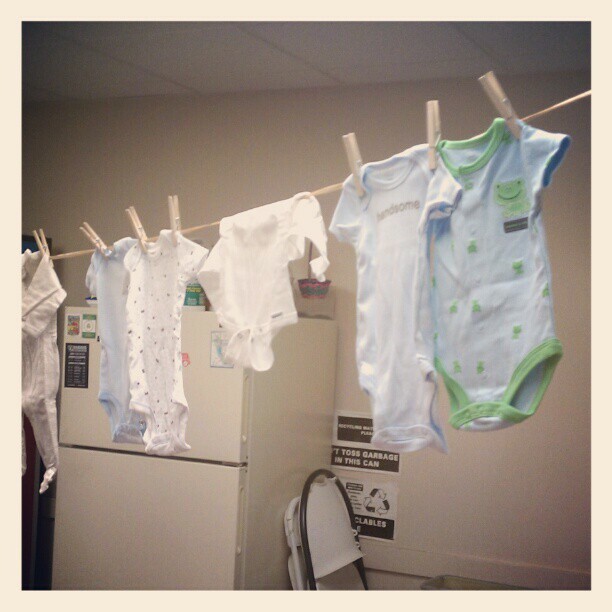 And my sweet co-workers surprised me with a baby shower yesterday! Loving all the onesies! You look gorgeous! Hope you are feeling well! You look so cute! Way to show off the belly and be proud! And I am very impressed about the hiking - way to go! Such a pretty view on the lake! I use Picasa to do collages! You look amazing...from boating in a bikini to hiking! The views are so beautiful. I too use Picasa for collages. Just go to toolbar and choose "Create", then Picture Collage. I would try PicMonkey, super easy. Hi! I use PhotoScape, free photo editing software I downloaded here (http://www.photoscape.org/ps/main/index.php). Their "Page" tool is like a photo grid. Or sometimes I just create a free form collage in PowerPoint and then take a screen shot of that. Also, you look great! It sounds like you had a fantastic weekend! Great pictures, what a beautiful view! 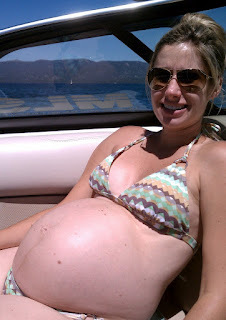 Wow, you should be way proud of yourself hiking, boating and rocking that bikini at 9 months!! I'm so impressed. You look amazing too! I'm also so jealous of your weather. Here in Texas it's already been so HOT! You look great - looks like a beautiful few days! 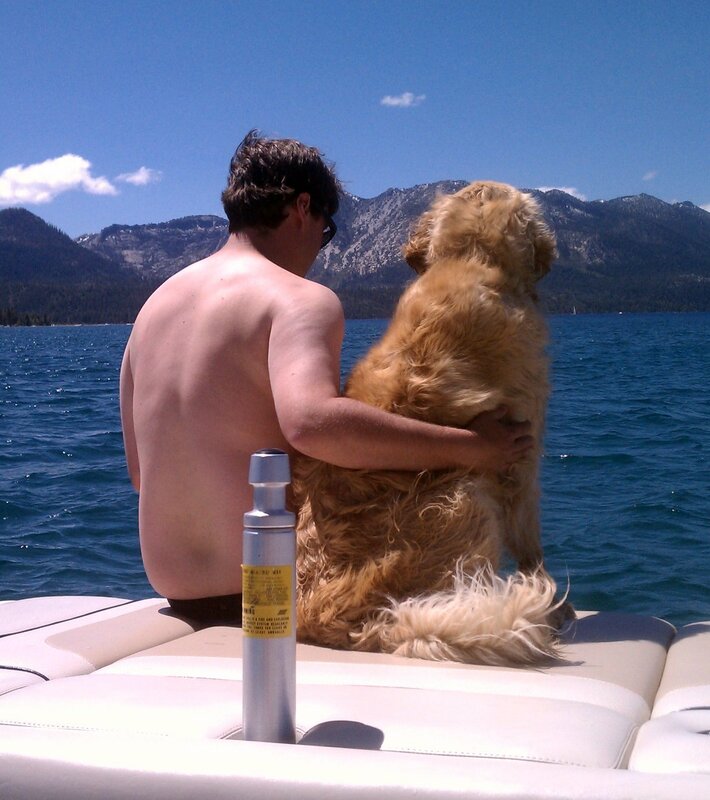 Your golden is so precious, I miss mine (my parents have him now to help our other golden cope with putting their 2nd dog down). Picasa is great and easy, but if you want a bit more advanced, GIMP is also free, and has many of the same features as Photoshop! You look gorgeous in all your pregnant glory! You are totally rocking that swim suit! 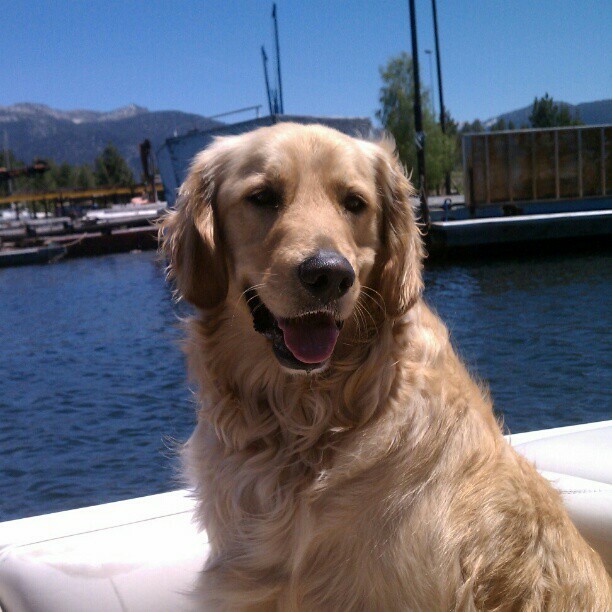 And of course I love the photos of Wilson on the boat! He is so handsome. And yay for instagram! I'm adding you right now! PicMonkey recently added a collage option, I've been using that and it is super easy. Where the heck do you live?! It's BEAUTIFUL!!! 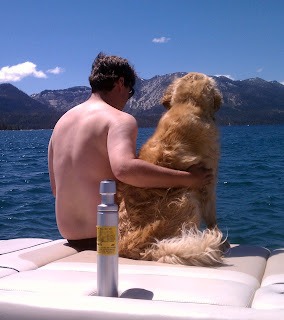 We used to go out on the boat all the time when I was pregnant. I would buy the tiny mini wine bottles since I couldn't drink and enjoy one of those! And hiking at 9 months that is awesome. You have been so active you should have an easy delivery! I use Picassa for my collages, it is very simple. Love the bikini photo, you rock it! Look at you rocking the bikini! I'm so glad you asked for advice on doing collages. I didn't know how to do one. I will have to give some of these suggestions a try. Just love these photos!! 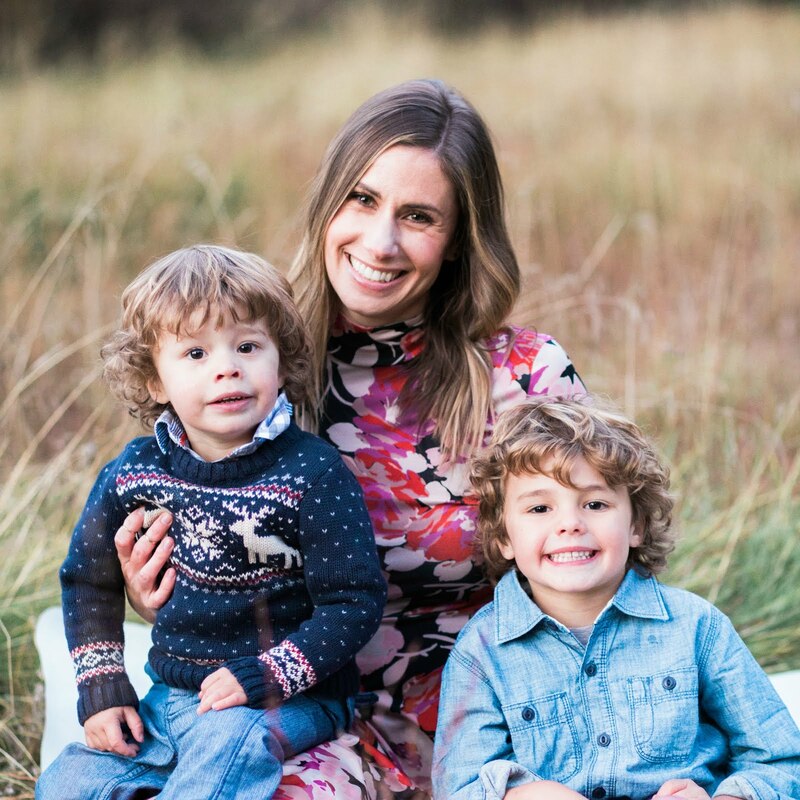 You have the cutest family already and it will only be cuter once your son arrives. Also, thank you for sharing a little about your brother. How sweet and perfect is it that your son will have Grant's name. I've always had trouble with making collages on my blog! I just can't for the life of me figure out how to share what I have on Photobucket! I guess I'll read some comments and see what people say. I am in love with your baby bump Natasha! You look amazing in that bathing suit, so cute! You look AMAZING in your little bikini! I just found you on Instagram, woohoo! Those onesies are to. die. for. So adorable. Hiking at 9 months! Fabulous! You are rockin' that baby bump, too! I need to learn to do a grid or collage too! I look forward to hearing the advice you get. Also, it looks pretty warm for Tahoe right now! I remember being SO cold in May one year with snow still in the basin. 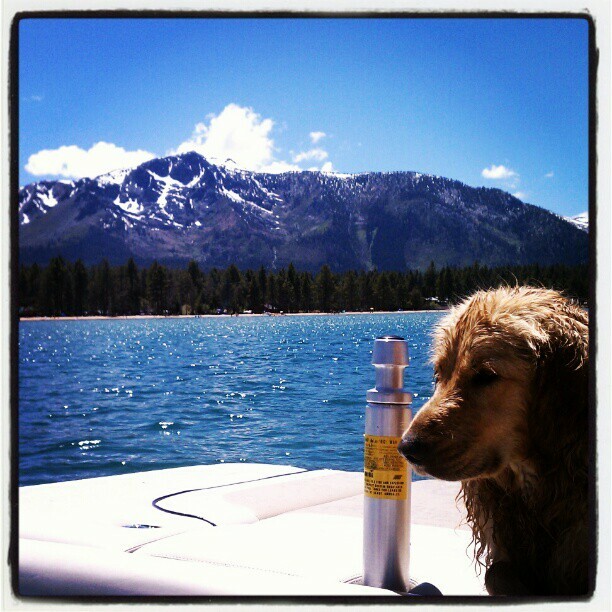 Did you hike to the top of Tallac? I hiked it back in college (granted I was in awful shape in college) and it was a decent hike! We hiked the "hard side" and i was dying by the top. So kudos for doing that preggo! mosaic maker is a good place online--very easy peasy, too!! ahhh i want to be out on the boat!! going to find you on instagram now lady! Looks like a wonderful weekend! If you ever need a substitute skipper give me a call. Do you have photoshop? I have a ton of templates that I just plug my photos into. (All through photoshop). Look at you lookin' fabulous in a bikini...Go mama! And I've been really liking PicMonkey! 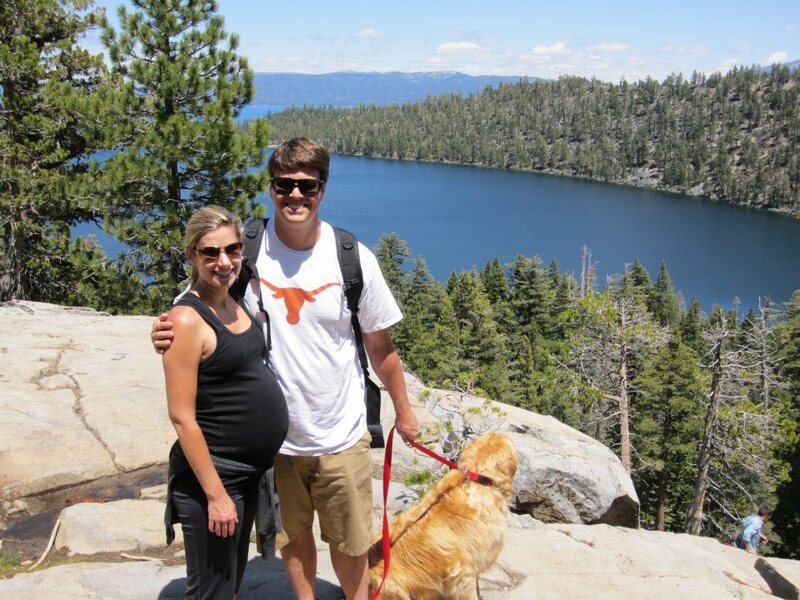 Your hiking impressed ME and I was with you non-pregnant! haha :) Love you pretty mama to be!! I have the Collage app on my phone that makes a photo grid if that helps!? cute pics! You look great in your bikini at 9 months Natasha! How fun to go out on your boat and the scenery is gorgeous. It looks like Wilson got in a little swim. So fun. Yay! You look adorable!! Those views of the mountain are incredible. Your belly is so incredibly adorable. Pregnancy looks good on you! Looks like a fun time - I'm so ready for summer wilderness adventures! You look so adorable in your bikini! Love your husband's UT shirt!! I'm a grad and native Texan. my gosh, your are gettin close! You look great! Sorry I can't help you with your frustrations. These are nice pics and you are SO brave for showing your cute belly bump. I gotta admire you for that. Good luck with everything! Love that you are rocking a bikini!! You look fantastic! you look adorable- and are getting so close to game time ;) looks like a sweet, relaxing weekend. You look great and the scenery is absolutely gorgeous! Did your husband go to UT? I never knew that! And I use PicMonkey for collages -- super simple! You seriously rock lady! 9 months pregnant and hiking those mountains like a champ :) You're looking great! You are looking amazing! You are going to have a BABY soon! Agh! You look beautiful! and I love where you live! water and snow capped mountains in the background! That's pretty amazing! Remember I live in flat Florida! Snowing!! Oh my! you look awesome!! Can't wait to see what he looks like!